The following is a press release from Iowa State Athletic Communications. 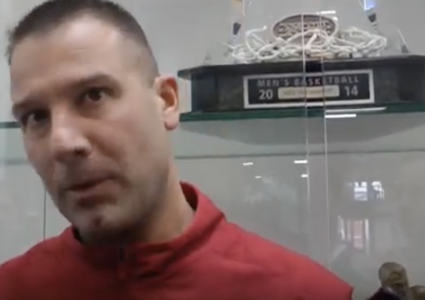 AMES, Iowa – Iowa State assistant head coach/linebackers coach Tyson Veidt is a nominee for the Broyles Award, given annually to the nation’s best assistant coach. 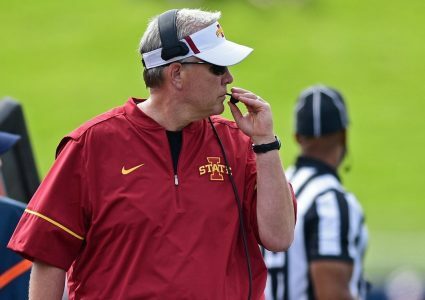 Veidt’s work with Iowa State’s linebackers has been vital to Iowa State’s overall team success and a major reason the Cyclone defense is one of the best in the nation. 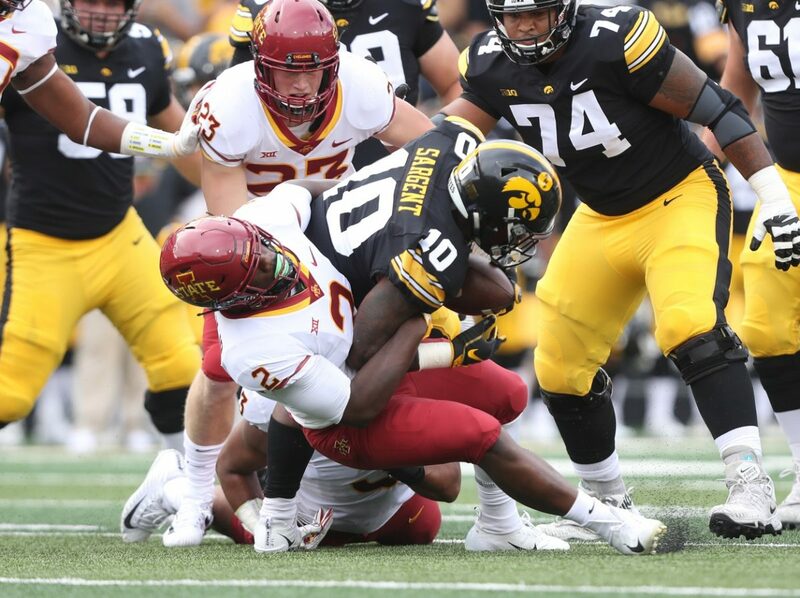 Iowa State leads the Big 12 in total defense (324.4; 20th nationally) and scoring defense (21.3; 27th nationally), utilizing a three-man front with heavy emphasis on the play of the linebackers. The Cyclones are one of just six teams nationally to hold six or more opponents to below 3.0 yards per rush. The Cyclones, which rank 14th nationally in rushing defense at 104.9, have held every opponent to below their season total offensive average. Behind Veidt’s leadership, the Cyclone linebackers have been phenomenal in stopping the run and in coverage situations. The Cyclones have used a six-man rotation at linebacker with all six players posting outstanding numbers. The leader of the group is junior Marcel Spears (WLB), who is averaging 5.0 tackles per game with 4.0 TFL and 2.0 sacks. Spears is also second on the team in interceptions, picking off a pair of passes vs. Texas Tech, including a pick-six, to earn Big 12 Defensive Player of the Week honors. Senior Willie Harvey (SLB) is third on the team in tackles (5.6) and fourth in TFL (4.5). His career 26.5 TFL ranks in Iowa State’s top-10. The Cyclones had to replace an All-American linebacker in Joel Lanning at the MLB spot, and true freshman Mike Rose has filled in without missing a beat. Rose is among the nation’s best rookie tacklers at 5.0, earning ESPN Midseason Freshman All-America honors. Rose also has 5.5 TFL and a sack. Coming off the bench is sophomore Jake Hummel and freshman O’Rien Vance, who have shown no drop-off when entering the game. Hummel has 17 tackles and 3.5 TFL and Vance has 12 tackles and 3.0 TFL. In all, ISU’s linebackers have a combined 20.5 TFL, 6.5 sacks, seven PBU and 164 tackles. As a team, the Cyclones (5-3, 4-2 Big 12) have won four-straight games in conference play for just the eighth time in school history. ISU is currently rated in all three national rankings: CFP (#22), AP (#23), Coaches (#25).